Google has started flagging the websites which are not secured, that is, the sites which are not using the HTTPS protocol and do not have the SSL certificate. This has been done considering the significance of sensitive information and the need for its encryption. The HTTPS protocol safeguards the privacy and integrity of the website. Also, if a good ranking on search engines is important for your business, this certainly holds a lot of importance. Make My Website being one of the best web development and design agencies in Australia, ensures to advise its clients and readers to ensure the protection of their businesses and its integrity. Hypertext Transfer Protocol or HTTP is what is used by the World Wide Web for communication of data. 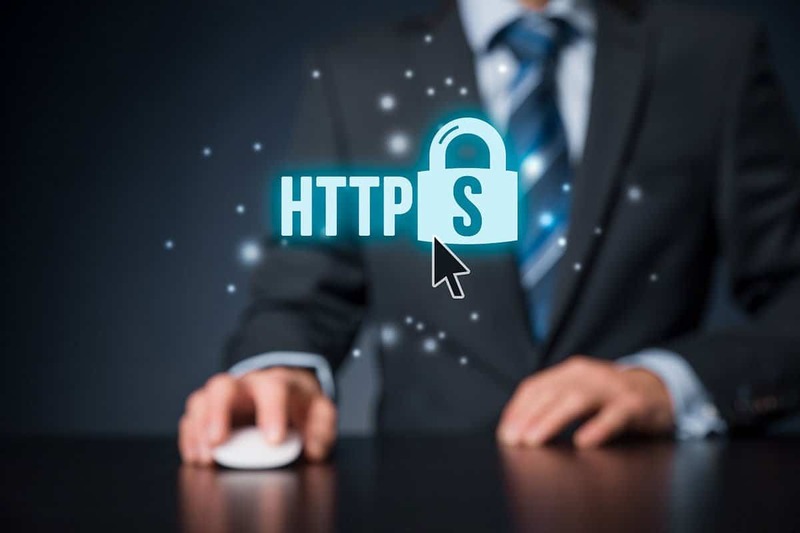 HTTPS or hypertext transfer protocol secure, is the secured version of HTTP which is responsible for keeping the data safe and encrypted when it is sent from the user’s web browser to the website which is being targeted, by defining the way messages ought to be sent along with the actions which the web servers and browsers must take to respond to the commands. While redirecting through a website on the Google Chrome browser, you will notice either a lock icon or a text reading as “Not secure” just before the web address in the browser bar on the top of the window. This indicates if the site has an SSL certificate or not. SSL is basically a Secure Socket Layer, which ensures that any sensitive information on the website is encrypted. Also, when it comes to getting indexed on search engines, HTTPS does play an important role. Google has initiated the process of giving higher ranks to websites abiding by the HTTPS protocol. It also contributes to increasing the speed of the website. There is no denying the fact that the performance of the website and its reaction-time, both are directly proportional to the preference of the users and their satisfaction, which again serves the purpose of sending the right message to Google and other search engines to rank the website higher. Since Google marks the website as secured or unsecured, it enables the users to be cautious. Security has and is always be a concern to the customers, which can either build or destroy the brand’s credibility depends upon the measures they take. HTTPS alongside your web address entails trust and credibility. However, if your business website is not secured, there are chances that customers avoid doing transactions or enter their personal data which would certainly contribute is losing competitive advantage over the other business like yours which is using the HTTPS protocol. Hence, this pretty much sums up the why taking an SSL certificate is important. Keep watching this space for informational blogs and the latest news on Web Design, Graphic Design, and Digital Marketing.